National Pretzel Day Friday, April 26. All visitors receive a free pretzel. No purchase necessary. Gus’ Pretzel Shop is located in the Benton Park neighborhood on St. Louis’s south side, in the shadows of the world-famous Anheuser-Busch Brewery. 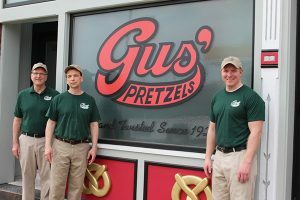 Gus’ Pretzel Shop is a family-owned business that has been using the same recipe and method of making pretzels, including twisting each pretzel by hand, since the business started in 1920. 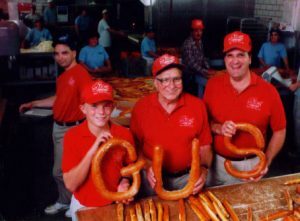 Third-generation pretzel twisters, Gus Jr. and David, are preparing the fourth-generation, Gus III, to carry on the same tradition. Visitors are able to view the entire pretzel production process through the viewing area at various times throughout the day and takeout orders are quickly filled at the retail counter. Through the years, Gus’ has become a St. Louis destination for both locals and visitors. With St. Louis’s strong German heritage, pretzel bakeries dotted the landscape in the early 1900s. Frank Ramsperger, a riveter by trade, started baking pretzels to support his family after he was injured at work.  Ramsperger baked pretzels in his basement and sold them in school yards. 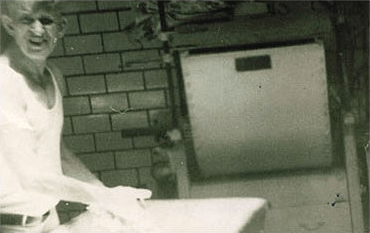 When Gus Sr. married Ramsperger’s daughter, Marcella, he saw potential in the pretzel business and purchased the bakery in 1952, officially naming the business Gus’ Pretzel Shop. 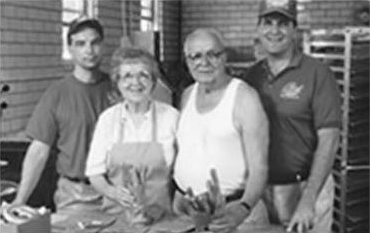 In Gus Sr.’s time, the pretzel shop was a mom and pop operation—with Sr. and Marcella doing all of the work and their seven children pitching in after school, on weekends and holidays. Their customers were mainly peddlers who sold the pretzels on street corners. It was during this time the stick pretzel became popular in St. Louis. Peddlers were unable to show off twist pretzels hidden in the brown bag. Stick pretzels were made to be peek out of the top of the bag allowing customers to see the salty treat. Gus Jr. purchased the business from his father in 1980. Since that time Gus’ Pretzel Shop has become a St. Louis area staple. Gus Jr, with the help of his brother, David, worked to expand the business from the small row house with a gangway entrance to the retail facility customers are able to visit today. Gus III joined the business in 2008 and has contributed new ideas to the family tradition. 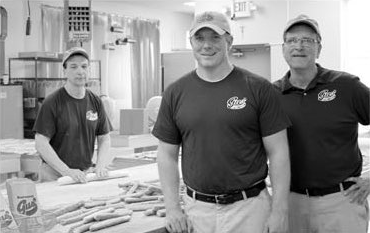 Gus Jr, David, and Gus III continue to work with their team of bakers six days a week to provide St. Louis with fresh pretzels. We still produce the traditional German twisted pretzel but the pretzel stick has become the preference of our customers. Our menu has expanded to include other items such as pretzel sandwiches, custom ordered party pretzels, and specialty dips and mustards. One story of the pretzel—and there are many of them—says that in 640 A.D. a medieval Italian monk created the pretzel as a reward for children who said their prayers. The pretzel’s twist signifies arms crossed in prayer with the three openings symbolizing the Holy Trinity. Pretzels are also believed to bring good luck, prosperity and spiritual wholeness. Through the twists and turns of history, the word pretzel was derived from the Latin pretiola—which means small gift, orbracciatello which became bretzel when it crossed the Alps into Germany to the present day delicacy—pretzel—originally soft and chewy. The pretzel also has royal connections. In the early 1500s, the city of Vienna, now in Austria, was under attack by Ottoman Turks. When the invaders couldn’t penetrate the walled city, they tried digging underneath its walls during the night. Pretzel bakers, who were working, heard the Turks and uncovered their plot and alerted authorities. A fierce battle ensued and the Austrians won! A grateful emperor awarded the pretzel bakers of Vienna with an honorary coat of arms, thus elevating the humble pretzel to the status of royalty. Today, bakeries all over Europe have pretzels hanging above their doors. Pretzels came to America with this country’s colonizers…the earliest reference in 1652. They were usually made in home kitchens and small bakeries. 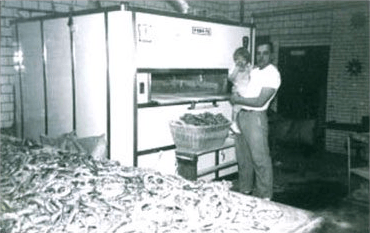 Commercial pretzel making had its start in America in the late 1850s in the village of Lititz, Pennsylvania.